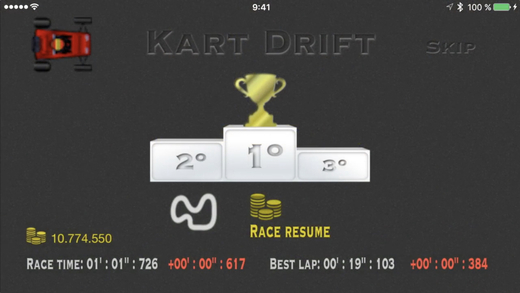 Apps4Review.com | KART DRIFT- GO-KART ON YOUR FINGERTIPS! Do you love Car Racing? If you’re a boy then you’ve surely the taste of playing with cars. Isn’t it? It’s an inbuilt quality that most of the kids pursue. From the very beginning of their childhood they play with small racing cars and then after keens to learn about how to drive a Car. But have you ever played a 2D Kart racing game on your mobile phone? Maybe you have played but not a game having simplified driving mechanics which I’m going to introduce you today. It’s called Kart Drift. Kart Drift has been developed by Nica Burcio Vecino and has been updated on 16th June, 2017. The app requires iOS 10.0 or any later version of the Operating System and is compatible with iPhone, iPad and iPod touch. 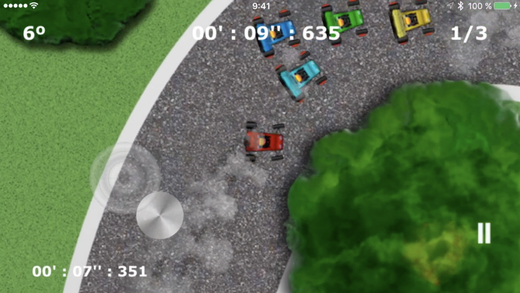 This current version of Kart Drift has some improvements in user experience and there are minor bug fixes also. 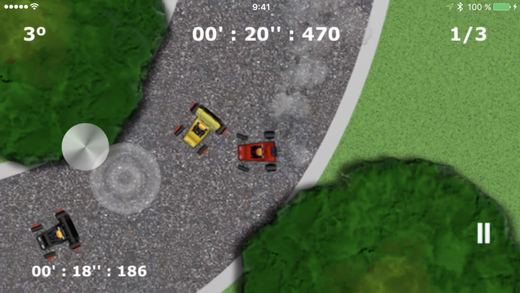 Kart Drift is an awesome 2D Kart racing game, where you can enjoy Drift driving. The controls of the game are very simple. With the help of your finger you have to control the Joystick and adjust the speed, the steering and the brake. There will be obstacles in your path but you have to run by avoiding them and win the race. The background music and the themes of the game are just awesome. You can customize and click them to activate or deactivate according to your need. This game is totally a big time-killer and super-addictive. There is a Menu in Kart Drift and you should be familiar with this. Otherwise, you’ll be lost somewhere and cannot identify any icon. Let me introduce it briefly. The Kart Drift’s main screen includes some icons and all of them have a different function. The first icon displayed on the top right helps to share your achievements full of medals and gold cups to your friends and show the whole world how talented you are! After that, you have to choose the circuit where you want to run. If we talk about the icon of the Circuit, there are 3 Legends- The Medal, The Cup and The Reverse Mode. The icons are having 4 states- empty indicates that you have not played the game, contour indicates that you have at least run in the race, fill in bronze when you’ve stay 3rd, fill in silver when you’ve finished 2nd and of course, fill in the gold when you’ve finished the 1st. When you start, only the first circuit is unlocked, but as you play the game, clear in the Top 3, then the next circuit automatically unlocks. This thing helps to build enthusiasm and eagerness in the player’s mind to solve the challenge. This game is very tricky and tests you at every step such as: to know the circuit, the keys to finishing 1°, to study the rivals, to see where you can advance them, anticipate to the curves and control the skidding. It’s not that easy that you think. So are you able to win this game and become the Legend of the Game? Let’s see! The app is available for free in the iTunes Store. Grab it now! Pros: excellent 2D Kart racing game; a variety of circuits; simple controls; intuitive interface; user-friendly; super addictive; customizable options; free. 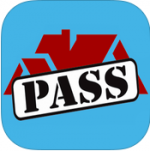 I give this app 4.6 out of 5 stars.